is right in the heart of the town, literally so you can hop off the boat and be right in the middle of things straightaway. It is in front of Phinikoudes, a palm tree lined promenade with many restaurants, cafes, bars to choose from . 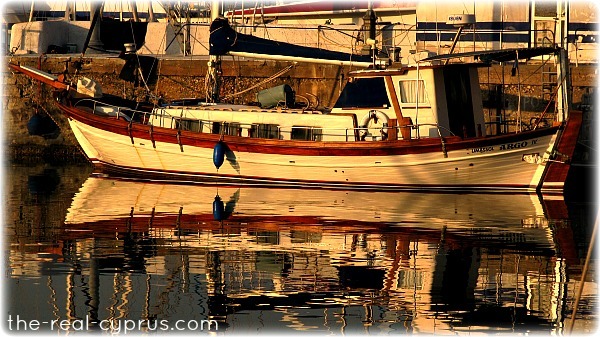 Larnaca Marina is situated in the bay of Larnaca and lies 110 nautical miles from Beirut and Tripoli, 145 n.m. from Tel-Aviv, 230 n.m. from Port–Said and 250 n.m. from Rhodes. The position of the Marina is 34 deg. 55 min. North - 33 deg. 38 min. East. 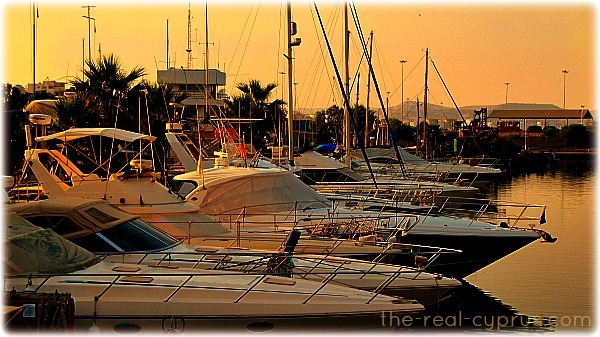 The Marina, an official Port of Entry has a maximum capacity of 450 yachts. The minimum depth is approximately 1.5m and a maximum depth of 4.0 . The nature of the sea bed is mud and sand. The Marina is entirely protected from all weather conditions. When approaching you may be asked to anchor in the outer part of the marina until a berth can be arranged. You will then be directed to a berth. Beware of the numerous unlit mooring buoys of the commercial harbour found to the North. - 24 hour security. Access to the Marina is controlled and limited to yacht owners and crews. - Telephone, Telefax and E-mail Services are available at the Marina Office. - Yacht Repair/Facilities: many independent private companies operate inside the Marina for the hauling / launching and servicing / repairing of yachts. Insurance and job-terms are independently agreed. 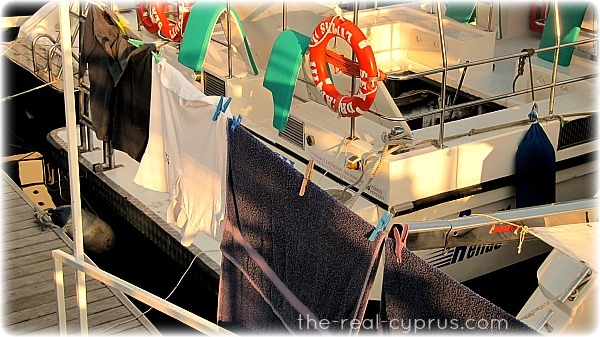 - Laundry-Showers-Lockers-Post Office boxes: Available within the Marina. 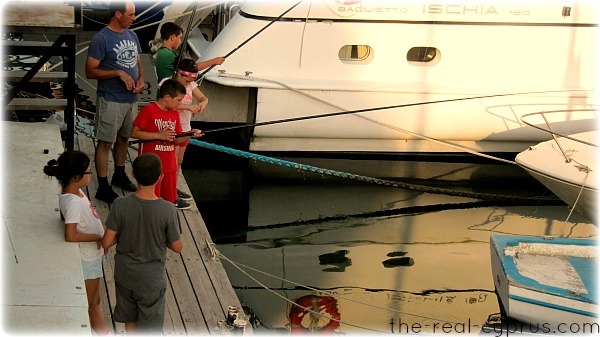 - Fire Fighting equipment is installed throughout the Marina reaching yachts within the area. - Independent private Boat Travel Hoists up to maximum 40 tons and maximum beam of 4.8 metres. 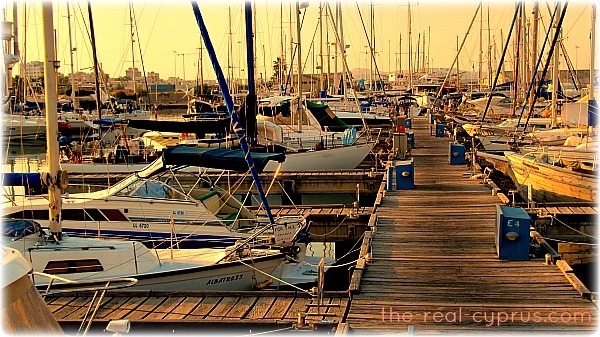 MUST NOTE: It is absolutely imperative to reserve space in the Larnaca Marina well in advance. 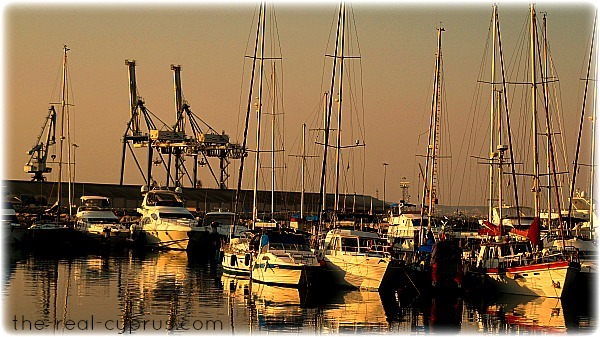 Yachts coming to or leaving Cyprus, can clear Customs and Immigration formalities from within the Marina. 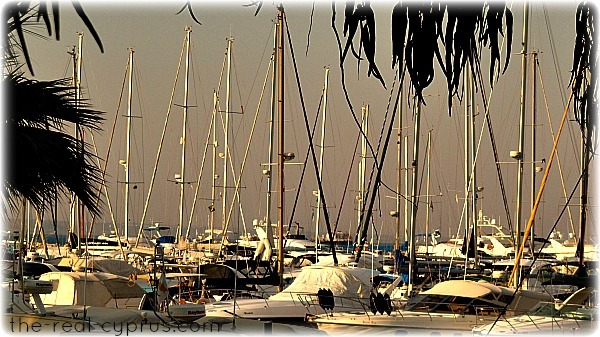 Larnaka Marina has a Marine VHF communication service on a 24hrs basis (Listening: Ch16 Working Ch.8). The marina is also heaving used by pedestrians walking along the pier end, sitting on seats, boat companies book trips from here, kids fish around here and there is an active Sea Scout hut so you will find plenty of people around and plenty of things to do, if you feel the time has come to get off your boat and stretch your sea legs.